Christine Lacasse is celebrating something new: her Meadow River Farm in Rehoboth, Massachusetts recently became a certified NPIP participant. NPIP certification, which stands for National Poultry Improvement Plan, assures her customers that her poultry flock has been tested and is free of Avian influenza and other diseases that affect chickens. It means that her chicken stock is traceable, and allows her to ship fertilized eggs. NPIP certification may not seem like a big deal to most, but to Christine it is a sign of her farm’s continued growth since her graduation from New Entry in the spring of 2012. She feels that the information she learned while at New Entry helped make her more aware of the business of farming: she now knows how to find the resources she needs and how to make an enterprise budget. One of the most valuable things she learned from New Entry was to take the information she learned and then tailor it for her own business model. Her business model has certainly changed over the years. She started out supplying Americauna blue-green eggs to Whole Foods through Tufts University’s Azaluna brand. However, when she found herself doing more driving and egg delivery than actual farming, she decided to make a change. 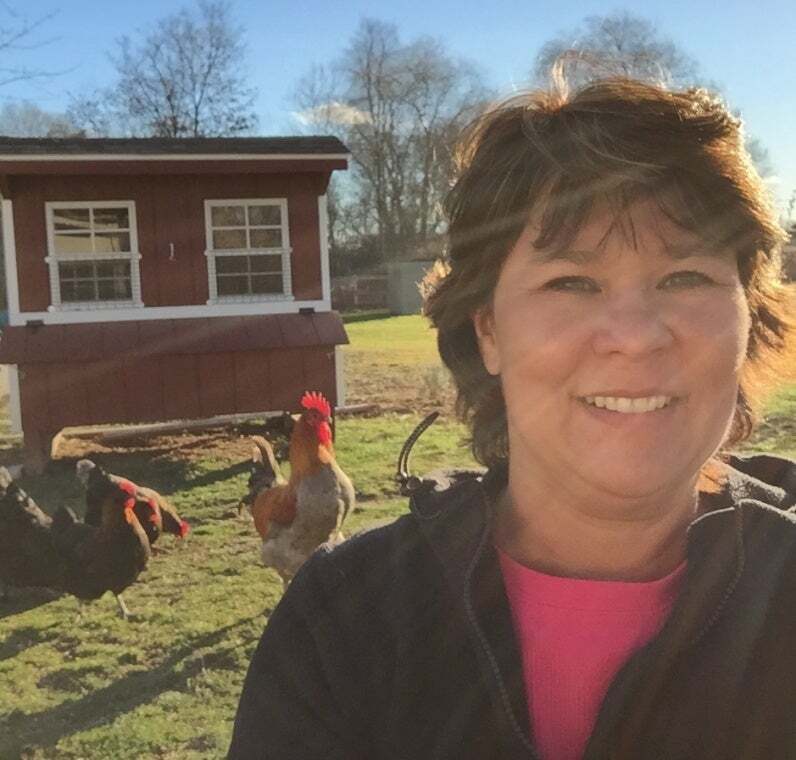 Christine found her niche in raising and selling started pullets, and she has been doing that ever since. Started pullets, for the uninitiated, are young female chickens that will soon start laying eggs. Christine’s customers are individuals or families who want to have a supply of farm-fresh eggs straight from their own backyards. This is a market on the upswing as folks become increasingly interested in growing their own food, and as cities begin to embrace new urban farming policies. Her chickens (and their eggs) are pretty unique: she specializes in breeding Maran chocolate-eggers, Americauna blue-eggers, and fluffy, kid-friendly Silkie chickens. In the past three years, Meadow River Farm itself has expanded in scope. Christine received a grant for a high tunnel greenhouse where she can now grow tomatoes, cut flowers and herbs. She has also acquired dairy goats and started beekeeping; she knows there is a market for local honey, and is exploring the market for artesian soaps made from honey and goats milk. She says her farm’s growth is slow, but steady – she expands only as her revenue increases, constantly reinvesting her capital in order to bring her business to the next level. She credits her steady growth to concepts she has learned from participating in workshops and classes, including New Entry’s business planning course. She says she still attends lots of workshops, even though she has been farming for several years. “Something I’ve learned along the way is that just because I’m doing something one way doesn’t mean ten other farmers do things the same way – you may ask one question and get ten different answers.” Christine values the knowledge and expertise of other farmers, and has learned to take advantage of the relationships she has cultivated over the years. But she tries to give back too: she says educating families about the nuances of raising chickens is one of her favorite things, and her customers are always welcome to contact her with their questions. She believes that good customer service is part of what makes her business successful.